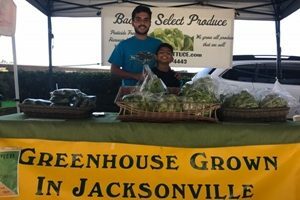 Likely the friendliest farmers market in Florida, the Fernandina Beach Market Place, is a true farmers’ market located on N. 7th Street, in the historic district of Fernandina Beach. 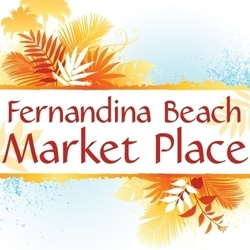 Their “sister” market, the Fernandina Beach Arts Market, features local arts & crafts by talented artisans from the Northeast Florida community, and is located adjacent to the farmers market on the 2nd and 4th Saturdays of each month. 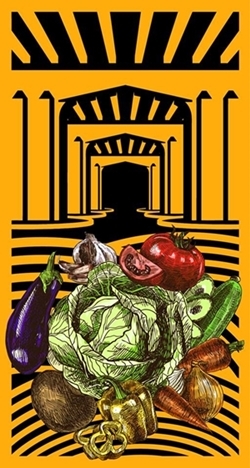 Come make new friends, and bring your family and neighbors to this weekly event where farmers, growers, and entrepreneurial individuals sell locally grown and produced goods to those living in, and visiting, our friendly, little community. The farmers’ market is open EVERY Saturday from 9 a.m. to 1:00 p.m., year round, rain or shine. 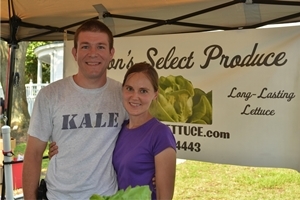 The Market Place is located on North Seventh Street, between Alachua and Centre Streets, Amelia Island, Florida. For more information about the Fernandina Beach Market Place farmers’ market, please visit FernandinaBeachMarketPlace.com. The Riverside Arts Market is Jacksonville’s premier destination for art lovers, treasure hunters, music fans and foodies alike. Stop by and say, “Hello” to Marco and his son when you are perusing the market. The Market has drawn local acclaim, national press coverage and nearly half a million visitors. Why? Because, simply put, this is the most FREE FUN you can have on a Saturday in Jacksonville. Located at the end of the Northbank Riverwalk, under the canopy of the Fuller Warren Bridge, the Market is a leisurely 15 minute stroll from Downtown Jacksonville along the St. Johns River. It also is located just 100 yards from The Cummer Museum of Art & Gardens and is less than a 5-minute walk to both Memorial Park and Riverside Park. Open Saturdays, 10 am – 4 pm, under the bridge in Jacksonville, Florida. For more information about the Riverside Arts Market, please visit RiversideArtsMarket.com.